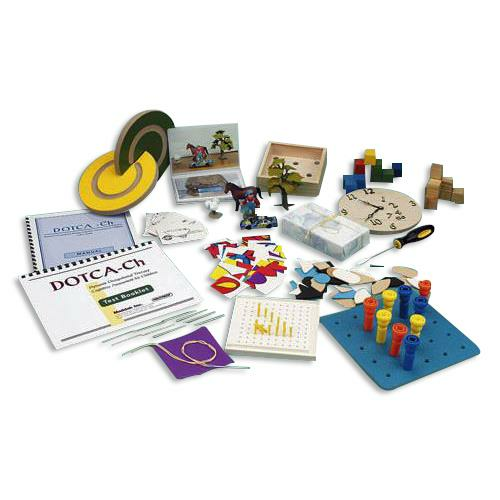 Provides a measure of cognitive assessment and learning potential for children ages 6-12 with special needs. It consists of 22 sub-tests in 5 cognitive areas: Orientation, Spatial Perception, Praxis, Visuomotor Construction and Thinking Operations. For each sub-test there is an option of a structured 5-step mediation. Measures of short-term memory and time of performance are included in the visuomotor organization area. Express shipping (Next Day/Second Day) not available for this product. It can be shipped via ground only.